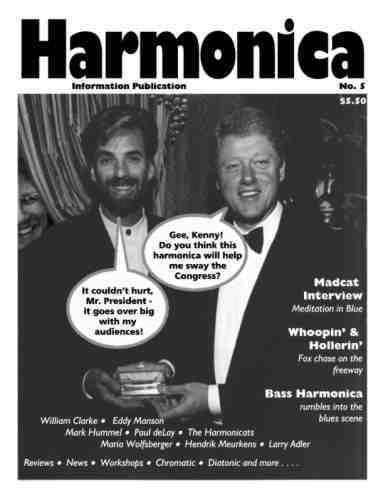 Cover Photo: Kenny Loggins presents a custom-made, specially-inscribed Filisko harmonica to U.S. President Bill Clinton (see HIP No. 4 for the full story). Chromatics in different keys - why?